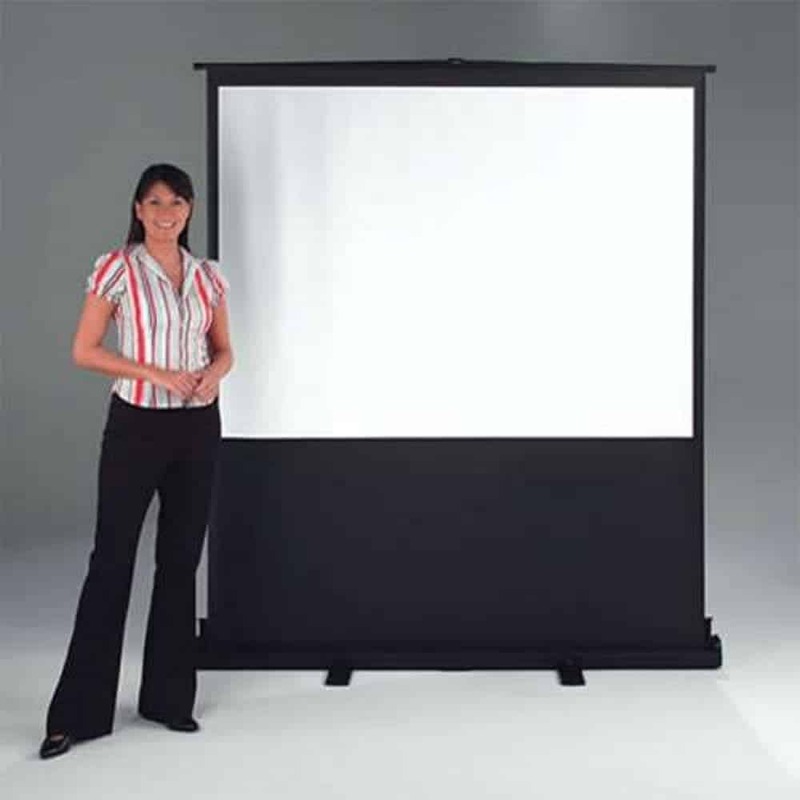 The Vertigo Portable Floor Projector Screen brought to you by Metroplan is a lift-assisted floor screen that has a scissor action mechanism that raises the screen to a full height in just seconds. Simply rotate the feet, unclip the case and raise the screen to the desired height. The feet rotate through 90 degrees, giving the screen stability when needed. 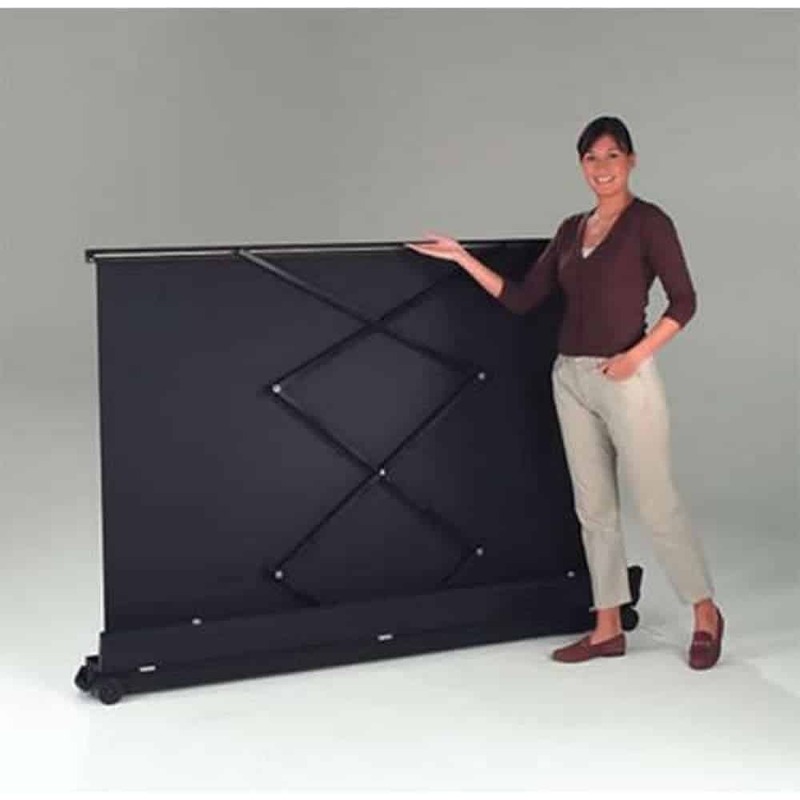 The carrying handle is balanced to reduce the difficulty in the maneuvering the screen when packed away.